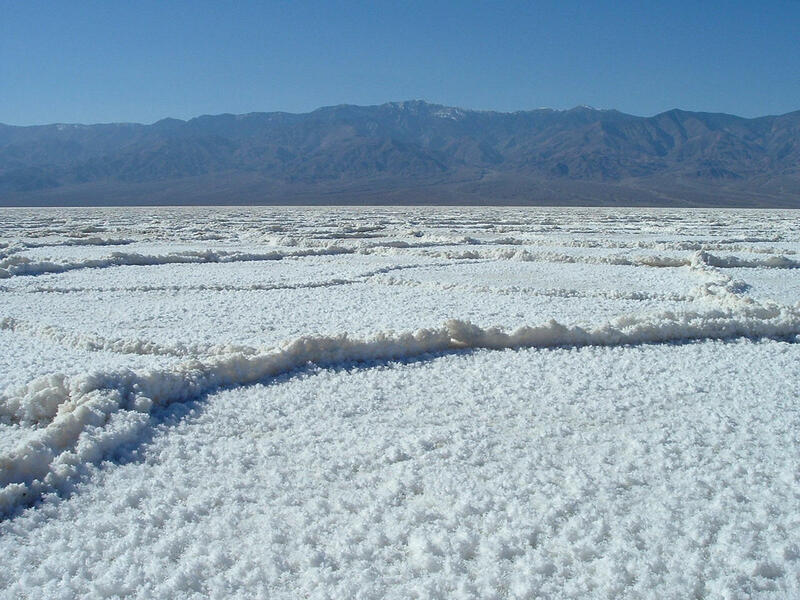 Here the bottomw of the valley is made exclusively of minerals, mostly salt. The high mountains surrounding the valley and the 20 degrees Celsius temperature in... december resulted in an impressive landscape. The mountains in the background rise to 3400m elevation; a bit of snow is also visible there. Together with the altitude where I was standing, some -80m, this created a 3500m elevation drop which I don't think it exists anywhere in Europe.